Just a few days ago, Fox expressed an interest in taking another crack at the How I Met Your Mother spin-off that it’s been trying to make for the last several years, noting that a previous attempt from a pair of This Is Us executive producers had been scrapped and that it was looking for a new writer to come up with a fresh take on the idea. 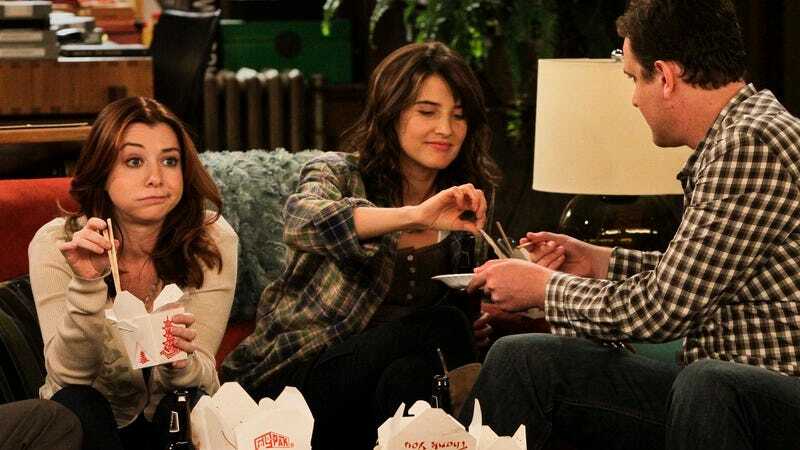 Apparently, Fox didn’t have to look very hard for a new writer, because it has already enlisted You’re The Worst‘s Alison Bennett to write the spin-off, which will once again be titled How I Met Your Father. Much like the original, the show will focus on a woman telling her kids about how she met their father, but like all of the other attempts to make this project happen, it will presumably be entirely disconnected from the old show and its characters—making this more of a gender-swapped reboot than a spin-off, but that’s the language Fox has used since the beginning. This version of How I Met Your Father will also tap into some of Bennett’s own experiences, so hopefully she had a lot of real-life adventures with slap bets, Canadian pop stars, and spending every night in the same booth at the same bar. The show is being produced by 20th Century Fox, and though a network hasn’t been formally attached yet, CBS—which aired How I Met Your Mother—has expressed interest.